Sergeant William "Karl" Keesee, 49, of the Texas Department of Public Safety, was killed in a solo-vehicle accident on Thursday. Sergeant Keesee was driving southbound on Highway 84, outside the town of Goldthwaite, when his patrol car careened off the road and into a creek bed. A passing motorist discovered the vehicle accident. 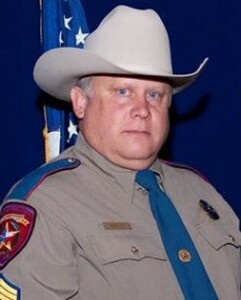 Sergeant Keesee had been with the Texas Highway Patrol for 25 years.